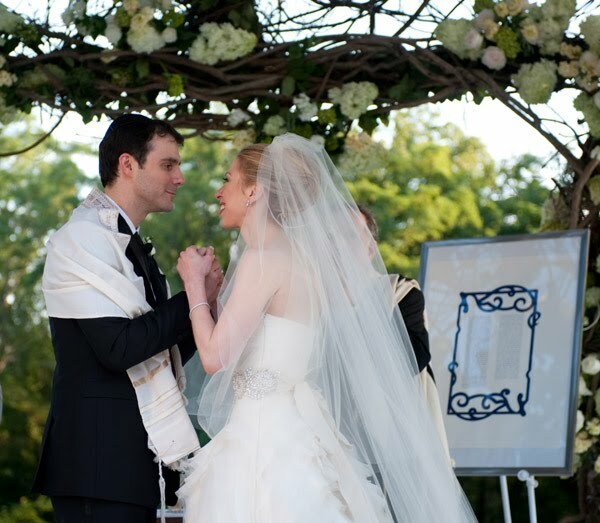 the cinderella project: because every girl deserves a happily ever after: Chelsea Clinton Ties the Knot! 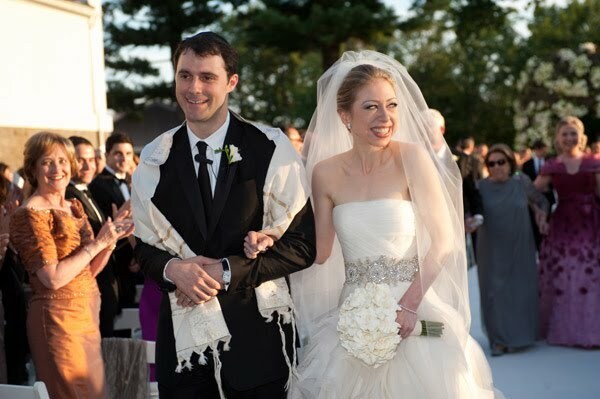 Congratulations to newlyweds Chelsea Clinton and Marc Marc Mezvinsky! 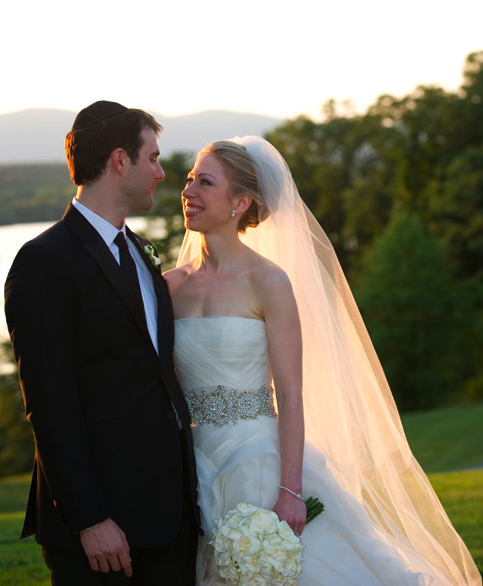 The couple tied the knot in the picturesque town of Rhinebeck, N.Y. last Saturday in front of 500 family and friends. 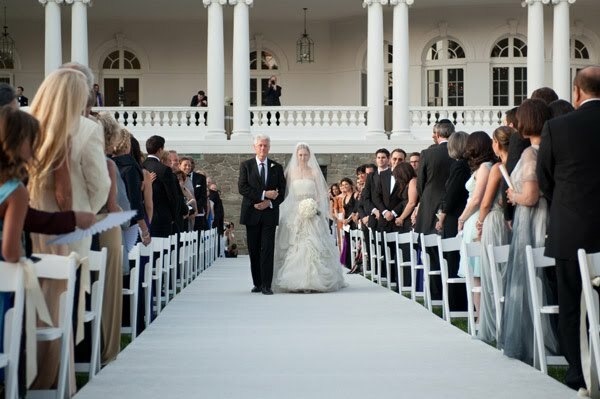 The former first daughter looked like American royalty as she walked down the aisle in a custom made Vera Wang wedding gown. The wedding planner was Brian Rafanelli, a Boston based wedding planner. Though mum's the word on the vendors and details, there's no doubt that it was a beautiful and elegant affair! Images by Genevieve de Manio Photography via Wire Image. Chels looked absolutely stunning! I'm pleasantly surprised by her Vera Wang gown, it's absolutely something I'd rock at my wedding. What a classy affair! Beautiful! She looked amazing and so happy!